In our artist showcase series, we feature a few makers from each category, who you’ll get to meet in just over 2 weeks. Can you believe the festival is almost here?! We guarantee this little sneak peek will have you counting down the days until Indie Craft Parade! The Et cetera category has a great variety of artists and goods that stand in a group all their own. From home decor and accessories to kitchen and garden goods, you'll want to remake your life around these products. Don't forget, if you want to see everyone, old and new, who will be at this year's festival, check out their websites, found on our main site. Hawks & Doves is a NC based maker who repurposes found materials in conjunction with both new and dead stock American made textiles and USA leather. We're dying over the feed sack pillows and especially those gorgeous aprons. Blackjack Wax Company focuses on creating high quality, small batch soy candles. Each candle is personally hand-poured in batches of ten or less. We think you'll love their original scents like "front porch" and "film noir." 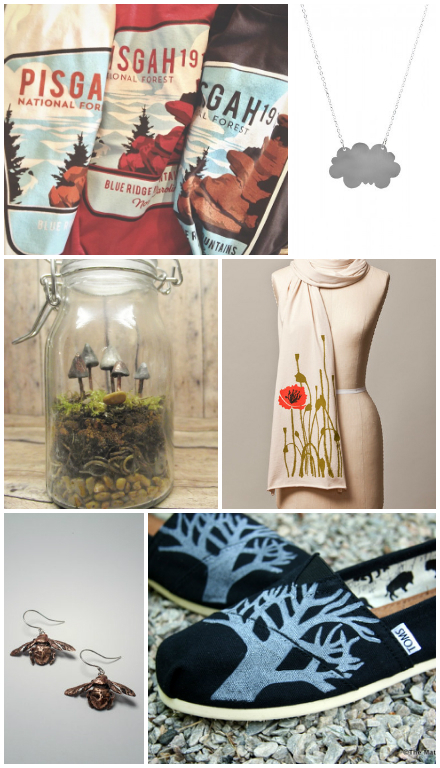 NATIVE BEAR products include hand printed paper goods and home decor featuring original designs and illustrations. Channel your inner bohemian and enjoy this collection. The Zen Succulent is a mother/daughter team making contemporary glass vases filled with minimal color-blocked landscapes and live greenery. Each piece uses both live and preserved plants for a product that is one-of-a-kind. Very Fine South makes a fantastic collection of bags and home decor. We think we can find a use for every one of her products. In our artist showcase series, we feature a few makers from each category, who you’ll get to meet in just a few weeks. We guarantee this little sneak peek will have you counting down the days until Indie Craft Parade! 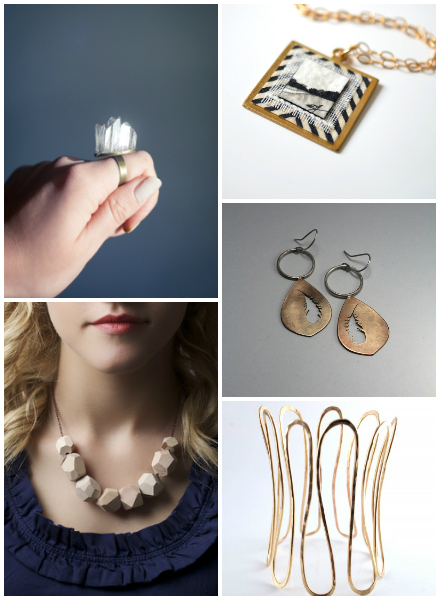 Today we're highlighting a handful of artists from our To Wear category. This is a broad lot including jewelry, menswear, kids clothes, and a lot of accessories. You'll be able to find something for everyone in your life from these artists. Esse Quam Videri uses the Japanese dying technique of shibori to create these lovely one-of-a kind silk scarves. Megan Cash has made a perfectly classic, yet fresh take on menswear. 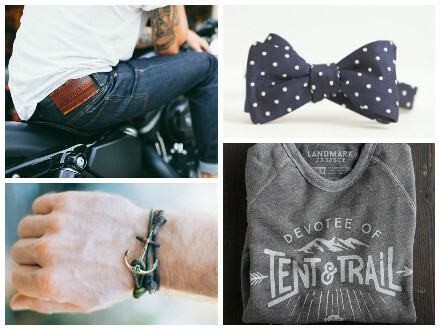 Keep the men in your life looking dapper with her creations. Carolina Keiki has created an adorable line of kids' clothes from their studio / shop in North Carolina. Pretty sure you wish your clothes were this cute and comfy. Timberline Jewelry is the creation of furniture designers turned jewelry makers. Building off strong geometric patterns and designs, this line is both classic and trendy. Maritime Supply Co. reflects all of our needs to get to the ocean. Suited for both men and women, these pieces will make you want to head to the beach. In our artist showcase series, we feature a few makers from each category, who you’ll get to meet in just over a month. We guarantee this little sneak peek will have you counting down the days until Indie Craft Parade! Today we’re highlighting some of the artists from our Fiber Art category. 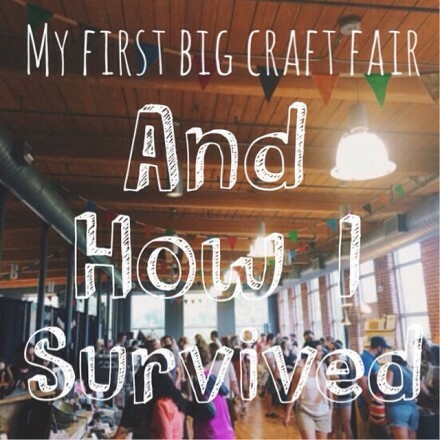 In this section you’ll find amazing handmade work created with felt, fabric, and yarn. Often the artists are even responsible for making their own patterns, prints, and even the materials themselves. And once again we had a difficult time choosing who to showcase, there are so many talented artists in this category! Bonnie Christine is a woman of many talents. She runs the blog Going Home to Roost, makes her own fabric designs, illustrations, and patterns. And makes the most amazing products from them all. Jennifer Lesley Design creates a variety of original home goods and decorations. From hand printed, painted, or dyed fiber and fabric, she makes a one of a kind collection. Muncle Fred Art is a felt florist. Whether looking for a long lasting arrangement for your living room, a gift for a special occasion, or decorations for you next big event, you're sure to love these creations. 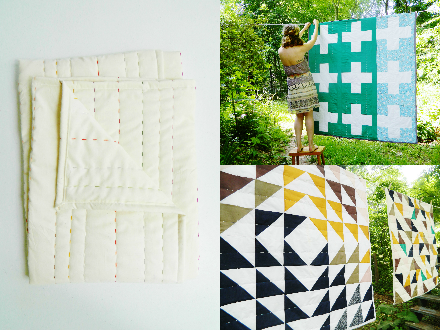 Hey Baby Craft Co. is doing an amazing job of preserving traditional quilting with her own modern twist. We can't wait to see these in person! In our artist showcase series, we feature a few makers from each category, who you’ll get to meet at the festival about a month and a half. We guarantee this little sneak peek will have you counting down the days until Indie Craft Parade! Today we’re highlighting some of the artists from our 3D Fine Art category. In this section you’ll find amazing handmade work created with wood, glass, metal, and ceramics. And once again we had a difficult time choosing who to showcase, there are so many talented artists in this category! Bean and Bailey ceramics is a Chattanooga duo producing small-batch functional porcelain pots. They use colored porcelain slip to construct both subtly organic forms, as well as faceted vessels inspired by natural crystals and gems. Churp Modern combines an interest in bird houses and modern architecture. Matt Estrada uses reclaimed wood to house the yard birds in style. SLAB creates beautifully function home goods. From the local Greenville mills, they source top quality walnut, cherry, and maple wood and produce serving boards, utensils, and perfectly streamlined furniture. 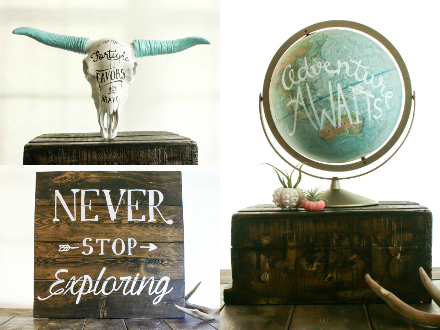 Pixels and wood combines a love of hand lettering with reclaimed goods. From the workshop in Winston-Salem, they take pride in bringing new life to old things and repurposing them in unexpected ways. It’s time to start one of our favorite blog series. As we get closer to the 2014 festival, we’ll be featuring a few artists from each category. You'll get to meet them all at the festival in just a few short weeks. We guarantee this little sneak peek will have you counting down the days until Indie Craft Parade! Let’s start off the series with some makers from our 2D Fine Art category. There are so many talented artists; it’s hard to pick just a few! Chris Koelleworks on a variety of illustrative, graphic, and design from here in Greenville, SC. You should check out his impressive list of published works. His series of botanical prints and originals will be a feature of his booth at Indie Craft Parade. ElloLovey creates inspiring and whimsical prints as well as other handmade goods from her home studio. You'll find that her creations are partly inspired by her British heritage as well as the woodland scenery that surrounds Asheville, NC. Joe Engel is a mixed media artist dividing his time working and living in Western North Carolina and Eastern Tennessee. Working out of a small studio in the countryside, Joe creates original handmade artwork with a combination of salvaged materials and original designs. The Holiday Fair is the perfect place to take care of all your Christmas shopping. You’ll find something for everyone on your list, a one-of-a-kind gift that’s sure to steal the show. Here's a little sneak peek at the handcrafted goods you'll see this Saturday. And of course, don't forget to get yourself something special too from the Holiday Fair! But enough about all these people, let's get to the important stuff... what are you going to get for yourself at Indie Craft Parade? Finkelstein's Center never fails to wow us with their fabulous plush animals and dolls. These creatures have personality by the boatload! Not just for kids, everyone's going to want one for their own. Asheville Soap & Sundry Company makes olive oil-based bath soaps, solid shampoo bars, and natural cosmetics. They are dedicated to using natural ingredients, always buying locally and chemical-free, and often grow the botanicals used in their products themselves. Block & Hammer rescues vintage silverware, and hand-stamps it with fun phrases and custom messages. They also offer copper and aluminum collar stays, the perfect gift for groomsmen or any dapper gent. Need to see more? You can check out the full list of our 75+ artists here, and come out this weekend to meet them all! In our artist showcase series, we feature a few makers from each category, who you’ll get to meet at the festival in just one week. 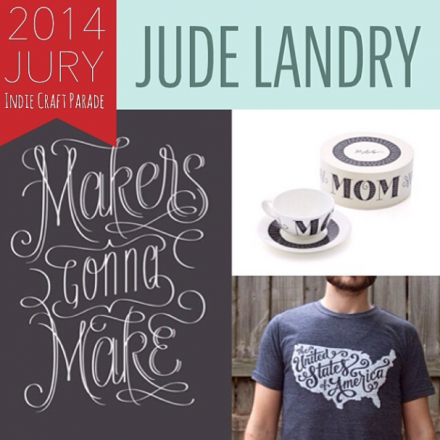 We guarantee this little sneak peek will have you counting down the last few days until Indie Craft Parade! 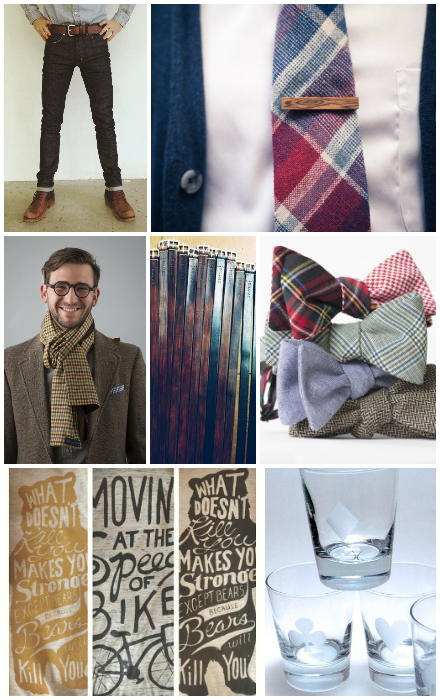 Our "To Wear" category is chock-full of amazing makers. 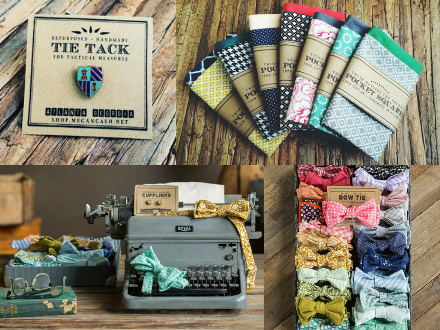 The handcrafted wearables include apparel for men, women, and children, jewelry, purses, and accessories. 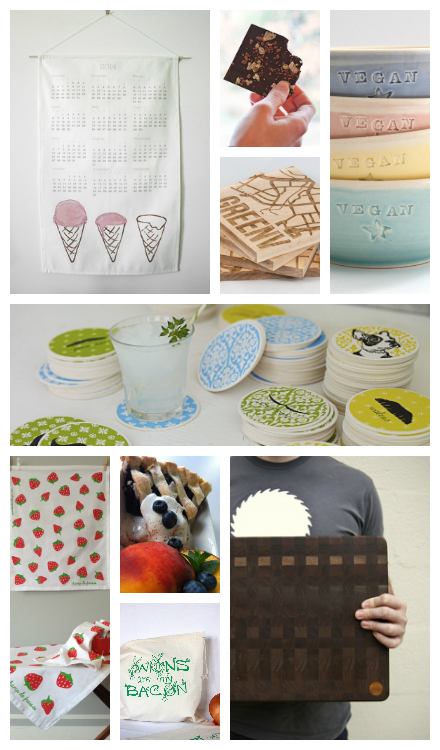 Here's just a little sample of some of the fabulous goods. "Acorn + Archer is a Nashville-based accessories line inspired by natural specimens, ancient artifacts and the balance found in modern physics." We love the simple lines of their pieces, the smooth tones of reclaimed wood paired with a pop of color is just what every outfit needs. Flytrap Clothing features hand-printed apparel for men and women. Those fabulous scarves are calling our name, how about you? Billiam(pronounced "bill-yum") is a local fan favorite, churning out custom jeans, belts, and wallets right here in Greenville. Their line focuses mostly on fashion for males, though the recent addition of women's skinny jeans has made all the ladies giddy. Need to see more? You can check out the full list of our 75+ artists here, and we’ll be back with another artist showcase next week. Chomp Textiles - Dana begins her process with hand drawn patterns which she then silk screens onto organic and sustainable fabrics using water based inks. 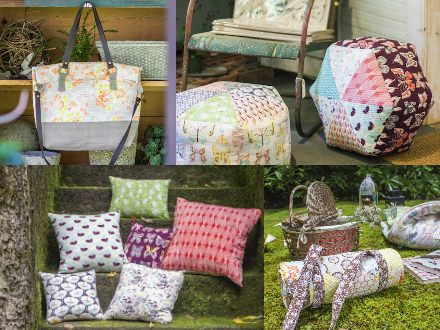 These fabrics are sewn into a fabulous line of home goods, everything from totes to tea towels. Precious America - artist Allison Jarrett's work is an excellent example of modern craft. The classic art of crewel embroidery becomes fresh and lively with her monochromatic color palette and streamlined stitching. What a wonderful way to commemorate a special date! 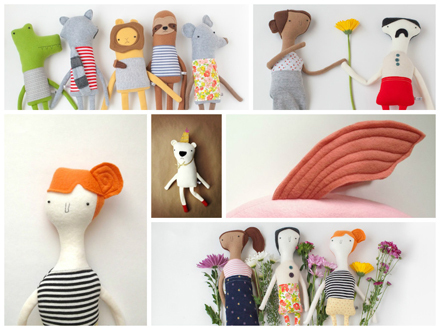 Once Again Sam - these felted curiosities never fail to bring a smile to our faces. Sarah Mandell creates an amazing range of work, everything from felted succulents (finally, a plant I can't kill! ), morbidly wonderful anatomical hearts, and sweet creatures like owls, rabbits, and more! In our artist showcase series, we feature a few makers from each category, who you’ll get to meet at the festival in just a couple weeks. We guarantee this little sneak peek will have you counting down the days until Indie Craft Parade! Over here at Indie Craft Parade headquarters, we're all obsessed with pretty paper goods. Letterpressed note cards cause us to swoon, screenprinted posters get us giddy, and perfectly bound notebooks make us weak in the knees. 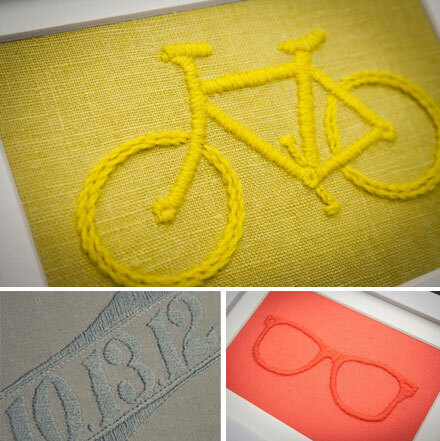 We love all the work produced by the talented makers in our paper goods category, here's a peek at just a few! 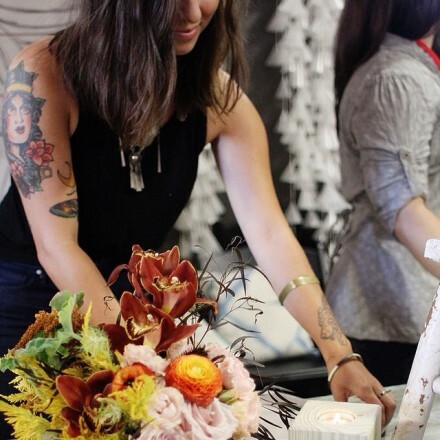 Em Dash Paper Co. - We love the happy-go-lucky calligraphy style of Emily. Her cherry notecards and hand-painted notebooks are the perfect gift to treat yourself to. GREENville Books are made in, you guessed it, Greenville! 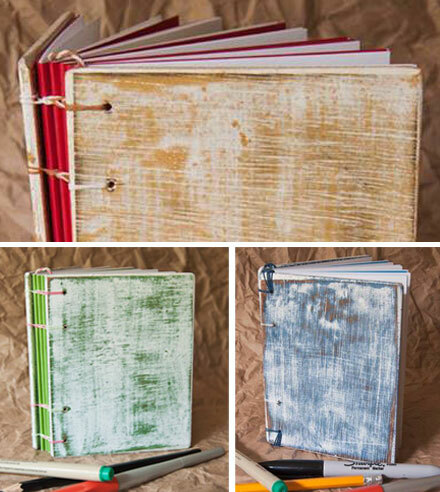 Jason Waggoner hand-sews environmentally conscious papers with the perfect feel, color, and weight and binds them together into a one-of-a-kind book. We're loving the series with milk-painted covers! Stay tuned! There's another artist showcase coming right up. Need to see more? You can check out the full list of our 75+ artists here, and we’ll be back with another showcase next week. In our artist showcase series, we feature a few makers from each category, who you’ll get to meet at the festival in less than a month. We guarantee this little sneak peek will have you counting down the days until Indie Craft Parade! Today we're highlighting some of the artists from our 3D Fine Art category. In this section you'll find amazing handmade work created with wood, glass, metal, and ceramics. And once again we had a difficult time choosing who to showcase, there are so many talented artists in this category! "HollerDesign creates and constructs furniture inspired by the traditions of the American South, but informed by modern sleekness and simplicity. And uniquely, each piece is sourced, designed and crafted from and on the Lascassas, Tenn., dairy farm that’s housed HollerD owner Matt Alexander’s family for more than a century." We are drooling over those cutting boards, can't wait to get our hands on them! Head over to their website and check out the gorgeous video on the homepage, it documents one of their furniture pieces from start to finish. 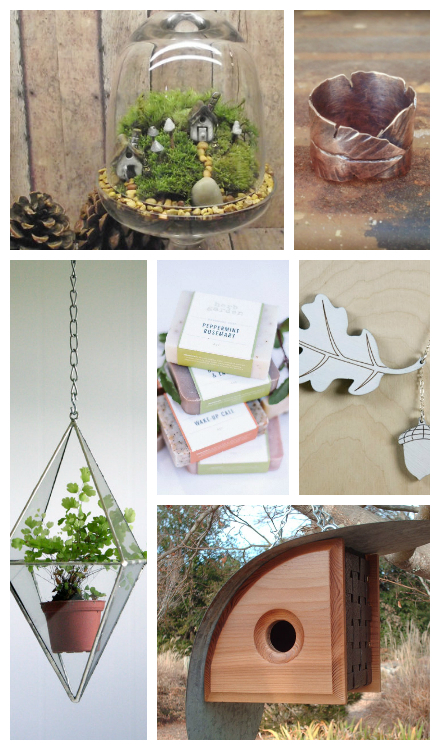 Rachel Wilder's terrarium collection has us swooning. These beauties are hand crafted from reclaimed window glass and lead free solder. She also makes a line of miniature terrarium necklaces. What a delightful way to bring green life into your everyday! Jeanette Zeis and her colorful ceramics are a crowd favorite. 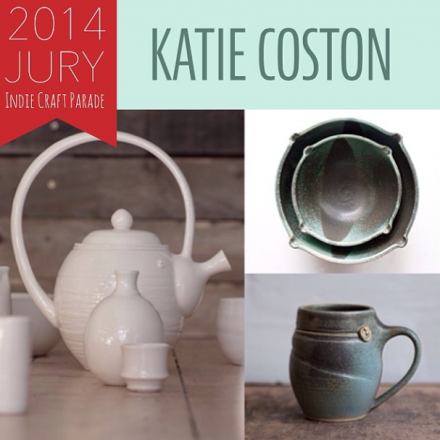 "Her pottery line contains beautiful and original housewares. Wonderfully crafted, with an eye for detail. 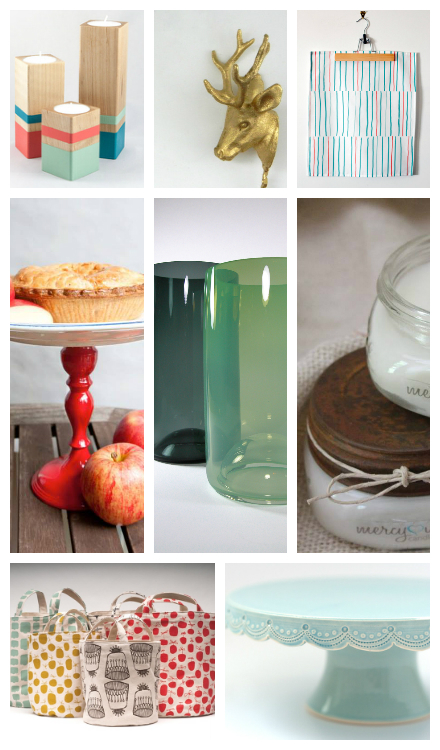 Gorgeous pieces for everyday use and for lovely displays." We're thrilled to see that Jeanette has recently launched a new collection of dishes tailor-made for vegans. No matter what you're serving, these cheerful pieces are sure to brighten your day! It's time to start one of our favorite blog series. We'll be featuring a few artists from each category, who you'll get to meet at the festival in just a few short weeks. We guarantee this little sneak peek will have you counting down the days until Indie Craft Parade! Let's start off the series with some makers from our 2D Fine Art category. There are so many talented artists, it's hard to pick just a few! Paper-Sparrow features delightful art with a music and animal theme. They offer pieces made with traditional printmaking techniques, as well as screen-printed and digitally printed works. Rebekka Seale's illustrations are just too charming for words. 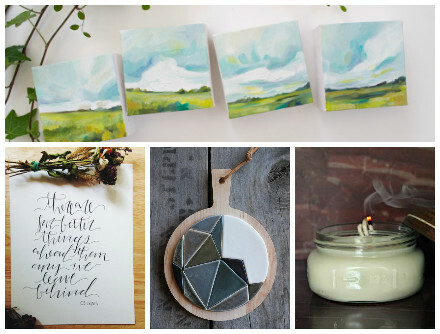 She is a talented fine artist hailing from Tennessee, and stays quite busy creating pieces for cool clients like Anthropologie and Land of Nod. Emily Jefford's mixed media collages are incredibly original. From the inky landscapes to the wood bases gathered by her grandfather, and from the little bits of paper ephemera to the delicate lines made by string and nails, these one-of-a-kind works of art are filled with personality and meaning. Need to see more? You can check out the full list of our 75+ artists here, and we'll be back with another artist showcase next week. In case you didn't already hear, the official list of exhibitors for the 2013 has been published! Head over to our website and scroll down to the Participants section to see the full list of 75+ artisans. 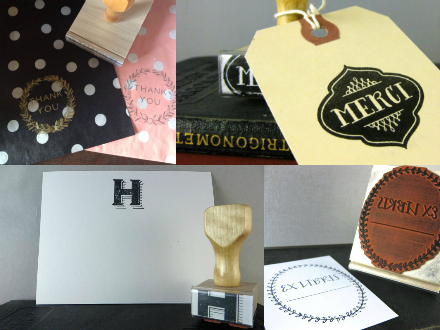 We'll be featuring a little sampling of all the amazing handmade goodness on the blog starting next week. Until then, here's a sneak peek to tide you over! Start making your shopping list!